It’s the life cycle of every company, employees leave and new ones arrive. 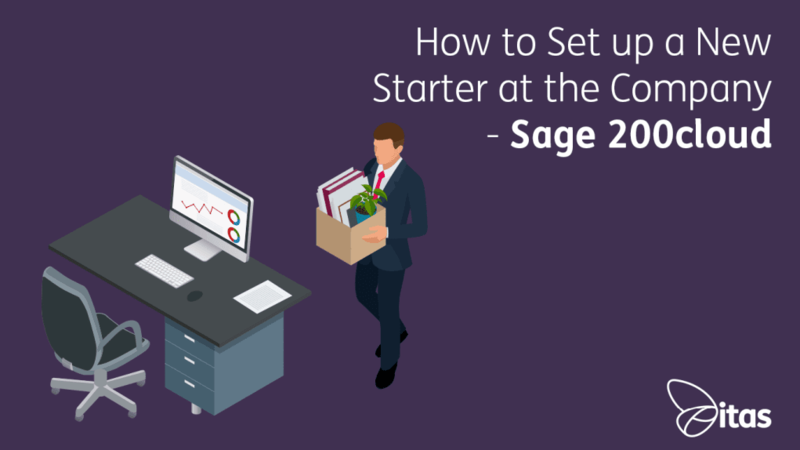 When you have a new starter, there are a few steps to be taken before they are ready to go in Sage. This guide will walk you through the checklist to ensure your new starter is on their way. If you wish for your user to work within Sage, they will need a Windows user set up. This is how they log onto their machine and something that falls under the responsibility of your IT. In the more recent versions of Sage, you don’t have to log in when you click on the desktop icon. Instead, Sage recognises the user when they sign into the machine, and doesn’t require a second log in for the app. When your IT create the user, they will need to be added into the appropriate group in active directory. This is a Microsoft service, which will determine whether the user will have administrative rights, or is just a normal user. If you wish for the user to have access to Sage System Administration, they will need to be added to the Sage Admin group otherwise they can be added to the Sage Users group. Once they have a windows user login, they can be added to the list of users within Sage. 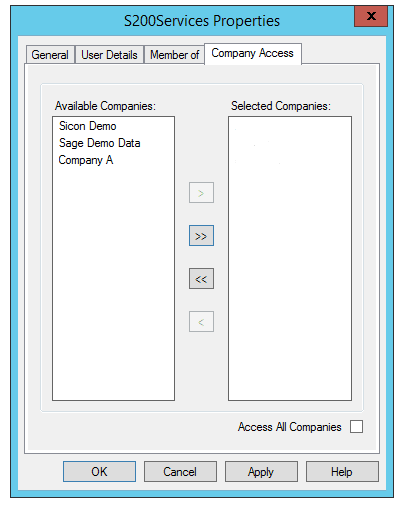 Once they have a Windows user login, they can be added to the list of users for Sage. This is achieved in the System Administration app. When you first open the app after creating the Windows user, the app will automatically add in the new user. A window will pop up asking you to approve this. If you don’t receive this window, right click on the ‘Users’ and select ‘Update Users’. After they have been added, you will need to grant them with the relevant permissions within Sage. To do this, right click on the specific user, and hit properties. The General tab is concerned with the properties of the user. In here you can allow them to edit the menu and work-spaces in Sage. This is also where you can specify whether they are a Web user, or an API user. The second tab along is User Details, which is where information such their email, job title, manager and telephone number is maintained. 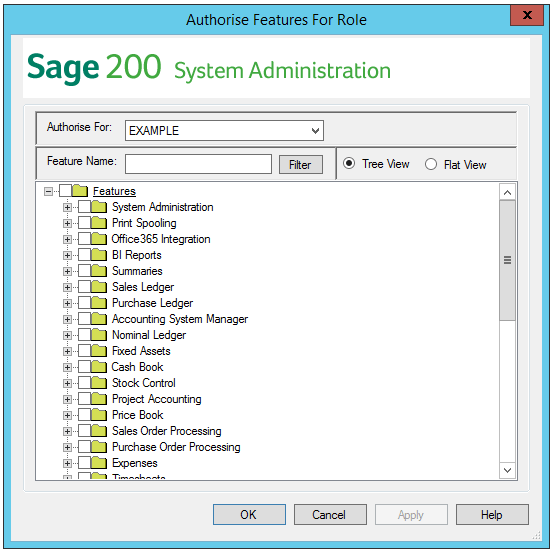 The Member Of tab is where you allocate the user to a role within Sage. Each role comes with customised access to different modules. You are able to create multiple roles, to suit various needs of the company. Users can be assigned to multiple roles. The last tab within this window is Company Access. Many businesses have more than one company set up within Sage. This can be their main company, an acquisition, or a test/demo company using the same data as the live company. Some also have their year end backups saved as companies too. You will need to select which company you wish for your new user to have access to. As discussed earlier, you need to assign the new user to a role. However, if you don’t already have a role set up with the appropriate modules or reports, you can create one easily. Go to the ‘Users’ option in the menu bar on the left, right click, and select Add New Role. Give your new role a name, and add in the relevant users. Once it has been set up, you can then select which modules you wish for them to have access to. The screen is shown on the right; simply tick through what they need and hit apply. You can be fairly general and tick for access for the whole module, or you can be as specific as you like. If you expand the module by clicking the little +, you can individually tick the items such as reports and lists. Roles can be amended at any point, and you can take away permission as easily as it is to grant it.